Ready for the best synthetic oil for your motorcycle? Robert Bruton Independent AMSOIL Dealer can assist you in getting the right oil for your bike. We also have Octane Boost for your bike and many other motorcycle specific products. Let me assist you in setting up your account so you can purchase your AMSOIL products at wholesale pricing! If you own a Harley Davidson, Honda, Suzuki, Buell, Ducati, BMW, Custom Chopper, Kawasaki, Polaris, or other make we have great synthetic oil solutions for you. The Best Synthetic Oil, AMSOIL! AMSOIL 20W-50 Synthetic Motorcycle Oil is a premium oil designed for those who demand the absolute best lubrication for their motorcycles. It is the result of extensive research and is specially formulated to excel in all areas unique to motorcycles, including high temperatures of air-cooled engines such as Harley-Davidson® V-Twin, wet-clutch lubrication, extreme-pressure regions of gears and chains and rust common to short trips and storage. AMSOIL Synthetic Motorcycle Oil is multifunctional and fulfills the requirements of both domestic and foreign motorcycles. To prove its extreme-heat performance, AMSOIL 20W-50 Synthetic Motorcycle Oil was installed in a 2012 Harley-Davidson FXDB Dyna Street Bob motorcycle. After deactivating the electronic temperature controls to increase severity, the engine was subjected to extensive idle time broken by short bursts of engine revving to simulate the intense heat conditions of a rally or parade route. Despite little air flow and cylinder temperatures reaching more than 500°F, the oil maintained viscosity and delivered outstanding protection (see graph). AMSOIL Synthetic Motorcycle Oil contains a heavy treatment of anti-wear additives to reduce wear regardless of the operating conditions. It is thermally (heat) stable and contains maximum levels of oxidation inhibitor additives. AMSOIL Synthetic Motorcycle Oil is extremely resistant to breakdown and engineered to prevent damaging sludge and carbon deposits for superior engine cleanliness. With AMSOIL Synthetic Motorcycle Oil, there is no need for separate transmission or primary chaincase lubricants. It is absolutely shear stable and will not thin out from mechanical activity. AMSOIL 20W-50 Motorcycle Oil performs like a gear lube without the negative effects of extreme-pressure additives. In the FZG gear test, AMSOIL achieved a perfect score with a "zero" wear rating. Motorcycles are prone to rust from storage, humidity and short drives. Rust can cause major damage such as roller bearing failure, uncontrolled wear, compression loss and blow-by. Good rust protection, however, comes by design and is not natural to engine oils. Unlike many motorcycle oils, AMSOIL Synthetic Motorcycle Oil contains special anti-rust agents. It passes the ASTM D1748 humidity cabinet rust test, demonstrating superior rust protection. AMSOIL Synthetic 20W-50 Motorcycle Oil contains no friction modifiers and promotes smooth shifting and positive clutch engagement. It controls heat and helps prevent slippage and glazing, while its high TBN helps improve clutch life by resisting the acids that can degrade clutch material. 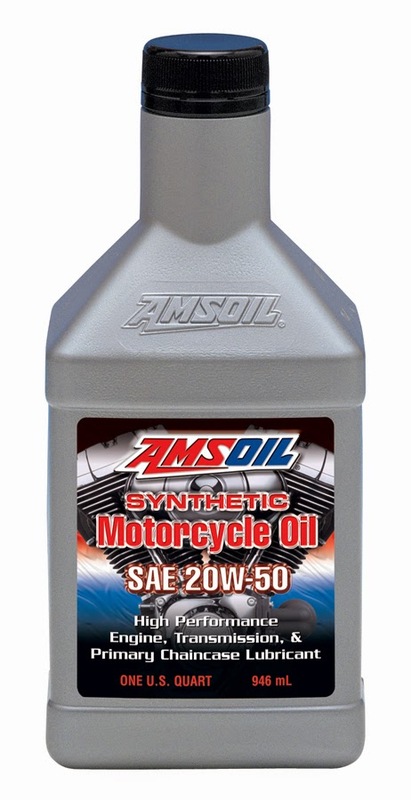 AMSOIL 20W-50 Synthetic Motorcycle Oil is compatible with other conventional and synthetic motor oils; however, mixing oils may shorten the oil’s life expectancy and reduce its performance benefits. AMSOIL does not support extended drain intervals where oils have been mixed. Aftermarket oil additives are not recommended for use with AMSOIL Synthetic Motorcycle Oils. For off-road use, change AMSOIL 20W-50 Synthetic Motorcycle Oil at motorcycle manufacturer-recommended intervals. Racing or modified engines are excluded from extended drain interval recommendations. Oil changes are at the owner's discretion. 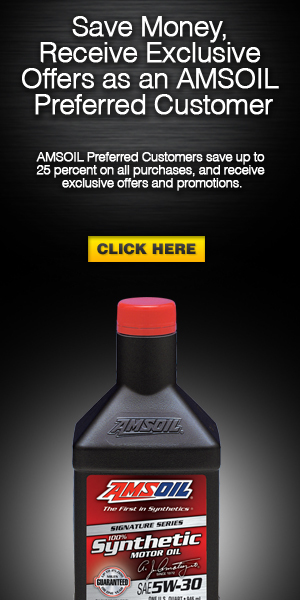 CLICK ON THE BOTTLE OR LINK BELOW TO SEE ALL THE AMAZING AMSOIL MOTOR CYCLE PRODUCTS. If you are a car dealer in need of quality salespeople read on! We recruit and train quality salespeople for your store. If your having trouble finding good employees that stick. We can help. Bob & Melissa Bruton have over 40 years of combined automotive experience. We can provide you with qualified candidates to fill positions in your store. You don't have time to sell cars and find salespeople. Our affordable programs will allow sales managers to focus on selling cars while we get sales professionals ready for your floor. Looking for a Job we can help. Looking for a career we can help. 5 day in-house program. Monday & Tuesday interviews and class selection the rest of the week is filled with intense training tailored to your stores procedures. When done you will have sales professionals ready to hit the floor running! With some on the job fine tuning you will have a awesome staff. Sales managers need to do what they do best sell cars. Let us pre-screen applicants and provide you with candidates that you hire and train. This flat fee service is month to month. We run the ads and only send you candidates we feel would work well in your store. The mission of Advice is to provide cost-effective recruiting, training, and marketing programs to clients that immediately increase sales, maximize profits, and boost customer satisfaction. Advice provides innovative and strategic recruiting, training, and marketing programs across the nation. Founded by Brian Hall in the year 1999, Advice utilizes the most advanced web-based technology available in providing its customer base with cost effective ways to immediately increase sales, maximize profits, and boost customer satisfaction. Advice’s proven programs - hiring the right people, providing effective integrity-based training, generating qualified leads, and developing sales advisers that can nurture relationships and close transactions - ensure that clients will move from marginal performance to new levels of profitability and stability, even in difficult economic times. Do NOT make a very costly mistake! Let us help you make a safe and educated decision when buying a vehicle by weeding out any possible lemons, cars that may have previously been involved in serious accidents, have been reconstructed, have open liens, impounded, salvage titles, valid mileage readout and more… ReverseVINcheck.com aggregates data from a variety of proprietary data sources to bring you the most comprehensive, in-depth vehicle record. We take the guess work out of buying or financing a new vehicle by providing our users with information that will help answering crucial questions about vehicles possible value, condition and suggested price. Want to learn about a Commercial Account? Bulk quantities available to save you money! Would you like a home based business? Do you enjoy the automotive business? Do you have your own shop? Would you like to be your own boss? Would you like to work from home? If you love the automotive business and want something for yourself, AMSOIL is easy to get started in and fun!